On Friday 29th September, 2 days before the commencement of Oracle’s most important event of the year – OpenWorld whilst attending the Oracle Partner Advisory Council I received word that I had been promoted to a full Oracle Ace. For those not working in the Oracle ecosystem this is comparable to being confirmed as a Microsoft MVP, a SAP Mentor or Java Champion. These schemes recognize contributions made by non employees to the community and the parent company itself. These contributions range across public speaking, articles for journals, helping through the various community sites and blogging among others. Hoist the accreditation is based on contribution, to be a successful contributor you need to be deeply knowledgable in your specialisms. The importance of the Ace recognition is important for my employer (Capgemini) and for myself for different reasons. 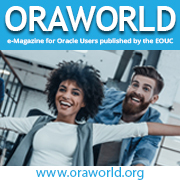 For an employer the association of expertise can be a key value propositions, and some Oracle partners actually use the number of Aces they employee as a key part of their differentiator and market proposition. Secondly, being out communicating with the community raises brand awareness increasing the chances of both sales but also make the company more attractive as a potential employer. Finally, through participating with in events you get to know product managers and other scenario Oracle people. As a result, when additional support and engagement is needed you have the contacts to draw on. But is not just help, the opportunity to contribute to product development exists. In many respects this can become a virtuous circle – the more you do the more opportunities open up, the more you can do. For me personally the Ace programme is a very friendly embracing community that whilst can be commercially competitive is very mutually supportive. This combined with the fact that the culture of sharing knowledge is actively encouraged, supported and acknowledgement of those efforts is always satisfying. In the middleware space there are less than 50 active Oracle Aces of all grades globally. Four of those are in the UK Luis Weir (Ace Director – Capgemini), Simon Haslam (Ace Director – eProseed), Mark Simpson (Ace Director – Griffiths Waite) and myself. I am also fortunate enough to count all three as friends. 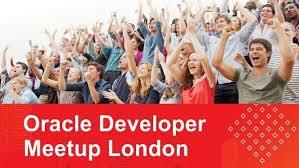 My colleague & boss Ace Director Luis Weir and I were invited to present at Thursday 20th’s Oracle Code London. The request to present came late as we where needed to cover someone who had to cancel (not that we aren’t grateful for the opportunity). This did mean getting the presentation together was a little bit of a scramble, unfortunately I missed a couple of sessions as I needed to assemble an environment, work out how I wanted to explain the point Luis’ slides where communicating as this was the first time presenting with Luis as a double act. Add to that address the day to day work demands. I did catch a few presentations, including the keynote by Adam Bien, Tim Hall‘s presentation on exposing databases using REST services, Lucas Jemella‘s microservices and eventing backbone and finally CQRS by Sebastian Daschner. All presentations where all top notch, loaded with useful information. I’ve been fortunate to see both Lucas and Tim presenting before so knew I would in for a really good presentations. So if you ever want to know about Oracle DB stuff with practical honest insights I’d recommend looking Tim up. Like wise in the middleware space for Lucas. Seeing the presentations and different presenting styles was interesting. Those presenters with a Java Rockstar background vs those from an Oracle Ace background. The Java guys taking a very minimalist (if any) slides and all code / demo – but blink and you’ll miss it, where as the Ace community (of which I am fortunate enough to be a member) with slides that are often visually very strong and still supported by demos. Whilst I’ve attended Oracle Open World, I’ve not yet seen the parrallel Java One conference in San Francisco. That said, the feel of the day’s event (and presumably the goal) is what I’d expect Java One to be like. I have in the past attended similar RedHat events, whilst the venue has a similar feel (not unsurprising as both have used SkillsMatter venues), what was different between the Oracle and RedHat events was that the atmosphere felt a lot friendlier and communial at Oracle Code. This maybe down in part to the fact that I know more of the people both Aces and Oracle employees, although that can’t be the only reason as when I was involved in the RedHat environment I had known senior people within the organisation and encountered presenters. My last observation, more technical is the fact that JavaEE was mentioned a lot more than I’d expected, even those much maligned EJBs got a mention. Is JavaEE making a reassurgence? So, if you get a chance to attend OracleCode – as an architect or developer I’d recommend that you take the opportunity. Whilst Devox maybe bigger with the really big name speakers, the day was both informative, engaging and rewarding. 25-04-17 UPDATE: Oracle have just made all the OracleCode London sessions available on YouTube here, and our session specifically here. It appears to be fairly common for people when they are invited onto the Oracle Ace program to blog about it (like this). Understandably so as it is no small achievement. And guess what, I have been invited to join the program as an Associate. So with a bit of meme, here is why the Ace program is important to me, and perhaps why my view is a little different. So what makes my story any different? Well, if you look at the membership of the Ace programme a significant proportion of the membership are people working for organisations who are Oracle partners; but for me I work for an end user organisation, so don’t get the opportunity to leverage the additional benefits of the Oracle Partner Network. 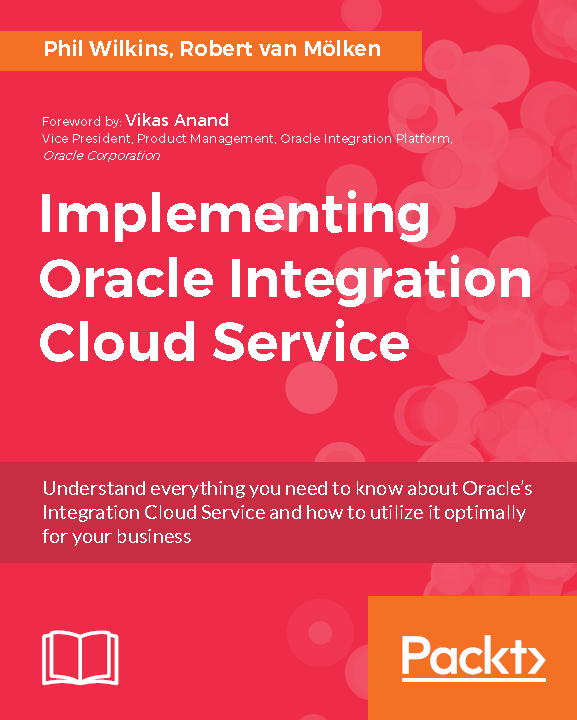 The benefits for a partner to have Oracle Ace’s are clear – sending a message to potential customers we have expertise and to Oracle to show the commitment to the partnership. But what does it mean to me for an end user organisation who have no need for those types of signal? Well for my employer it means several things firstly, it helps show the company as a progressive organisation who invests in its people. The investment in my case has been membership to user groups (UKOUG, OAUG), the chance to get out of the office and attend those invaluable SIG sessions along with conference events, such as Oracle UK’s one day sessions along with Open World. This not to say the pursuit of this goal hasn’t meant a fair bit of personal hard graft. There is a saying that goes ‘knowledge is power‘; in my view the power only manifests itself properly when the used for the benefit of all. Or put it another way share what you know. Sharing knowledge when you know has, or will benefit others is greatly rewarding. It is that sense or reward that propelled me forwards with the Ace program. So if you come across something that helps, then it’s always worth telling the author you appreciated the effort, that can be simply liking a post or retweeting or sharing it. But preparing that information to be shared does take effort, sometimes a lot of effort. Aside from the reward from sharing knowledge, there are other benefits. Like most in the more engineering aspects of IT, I am not an naturally gregarious person, so social discourse is hardwork, but activities that have lead to the Ace have provided a foundation on which conversations can be easily started. The final reward, is in many respects rather selfish, in so far as it demonstrates to the wider world recognition of my capabilities. Yes, you could do this by attending training courses and siting the relevant Oracle exams. But as an EA making a case for very hands on training is very difficult, it’s not as if the resultant skills will get practised everyday. The one relevant Oracle training stream (Certified Architecture Specialist) is actually only offered to partners. So again, graft needed to self educate (some might say this is the cost of working in this industry). But comes back to, why do training if you’re not going to share the benefit of it? So being true to my on recommendation, I’d like to thank Simon Haslam at Veriton as my Ace sponsor.